Arts Access Aotearoa was founded 20 years ago this year on the understanding that all people have the right to engagement with art and to express themselves in ways relevent to their culture. We were then and still are particularly concerned to represent and advocate for groups who would (because of their circumstances) be unheard or over looked. Indeed their rights may not even be known to themselves or others. In this context it’s relevant that Arts Access Aotearoa is the national organisation that advocates for prisoners to have access to arts. Creative and cultural activities, projects and events are provided by the Department of Corrections in order to aid rehabilitation and positively influence the chances of offenders to not reoffend. It’s a human right to have access to cultural expression and creativity along with education, food and shelter, safety and many others. In New Zealand we fulfil our obligations as parties to the Universal Declaration of Human Rights that we signed in 1948. Since then additions have strengthened its intentions to provide a safe and fulfilled world. I explored these subjects with my colleague and former Human Rights Commissioner, Robyn Hunt, where we led a workshop for delegates at the International Federation of Human Rights Museums held at Te Papa 22 – 24 September. ‘How do you tell unsafe stories in safe places?’ is a theme in which museums can play a role in reconciliation, bringing understanding (for example) to past conflicts. Museums can be a safe place to look at hard topics. New Zealand’s Te Papa is an experiment (if you will) in how to tell the story of Aotearoa New Zealand - as a progression of peoples and events that have sometimes been very unsafe to talk about. However we are now known for our bi-cultural and multicultural cooperation and as a peaceful nation. So where does Arts in Corrections fit in? 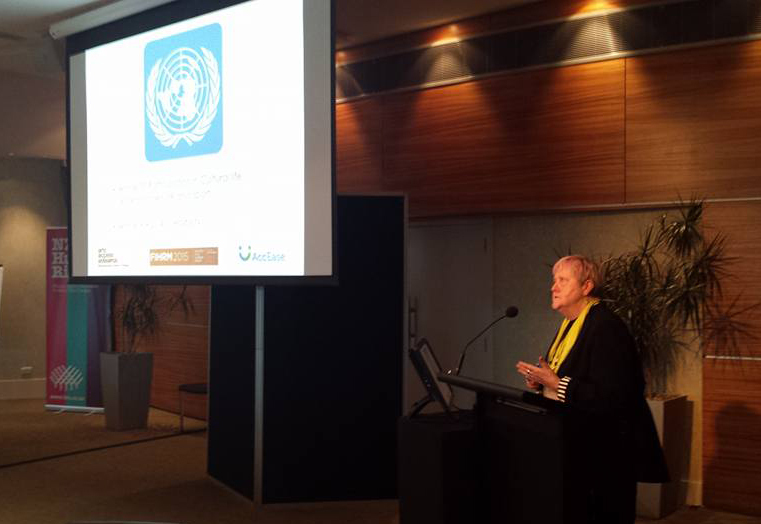 Delegates at the conference were interested to learn that New Zealand has an NGO that works cooperatively with the Department of Corrections to help the Department ensure that our creative and cultural obligations to the UN are met and that prisoners have access to cultural and creative expression. There are too many countries that do not allow prisoners access to basic needs, let alone their human rights, and New Zealand’s example is one of the better stories. However we should not be complacent. Often in times when governments are under economic stress (is there ever a time when they are not?) funding the arts and creativity is seen as a ‘nice to have’ when really it can bring much more than ‘nice’. To understand the value that cultural and artistic expression brings to prisoners’ rehabilitation requires a journey of discovery and innovation along with empirical analysis. We trust that which brings people joy and motivation and identity on the outside can bring the same benefits for offenders seeking or uncovering the same while ‘inside’. 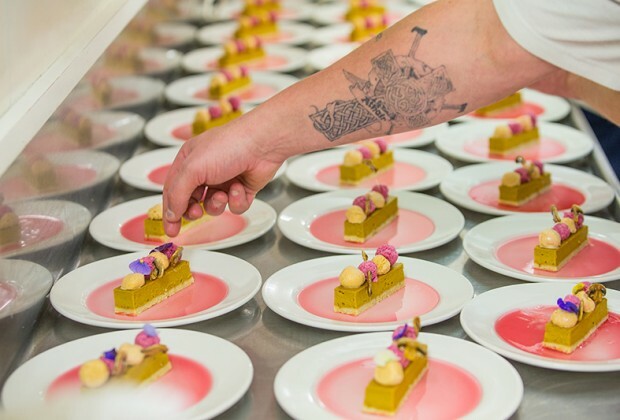 How fantastic it was then that ‘Wellington on a Plate’ project for prisoners at Rimutaka Prison offers offenders the opportunity to learn new skills with food preparation, design and cooking. A great opportunity to discover new skills in ‘the art’ of cheffing and food service, it was a pleasure to be invited by the Department of Corrections to attend one of the sold out nights that chef Martin Bosley and his associate’s provided. This project, where prisoners work under leading chefs to prepare and serve restaurant quality food provides many things beyond culinary delights. Most evident to me is that it provides hope. I could see this in the eyes of the men allowed to participate. They had all been working their level best and the results were on out on show – the pressure was high. This was something they could do and do well. Creativity meets hard work meets trust. Sounds like a good recipe? It looked and tasted like fine art to me. Original generation time 1.4555 seconds. Cache Loaded in: 0.0329 seconds.